The human environment is full of colors. The human eye is able to distinguish those colors, which stimulate the mind in various ways. Color may be everywhere and a standard part of life, but once you learn how to control color in your digital photography, you’ll see an improvement in all the pictures you take. Because the human eye and mind are so instantly attracted by colors, especially when presented in a pleasing manner, it becomes a message or a signal that draws viewers’ attention to a specific subject, object or area of your pictures. In a sense, controlling color is a technique that also controls viewers, and that’s an indication your digital photography is moving from snapshots to art. There are four color concepts that will help you see the pictures you want to take differently, and then capture them. 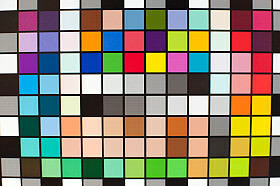 The first method to control color is to select one color to be dominant in your digital photos. Another way to think of this concept is that there are actually too many colors in the world for good photography. A profusion of different colors of equal value in a photo can be unpleasant to the mind. A picture of your daughter in a brightly striped dress running through a field of colorful wildflowers is overwhelming. Instead, she should wear a solid-color dress that complements the surrounding rainbow of colors. In most cases, the subject of your photo should be in the dominant color to help establish that person or object as the focal point for viewers. Instead of posing a picture of your daughter in a white dress holding a red ball (which would attract the eye, not your daughter), have her wear a red dress and hold a white ball. Once you’ve determined what will be the dominant color in your digital photo, you should isolate it to make your picture even more creative and dynamic. In most cases, this means using a telephone or zoom lens, so you can frame that part of your picture with the dominant color, or moving the subject, object or yourself. Red, yellow and orange are at the warm end of the color spectrum and work well as dominant colors. Think of the front of a home with neutral-colored siding, such as charcoal gray, but a fiery red door. Although the door takes very little space in the photo compared to the great expanse of gray, the warmth and boldness of its red color draws the eye immediately. The other end of the color spectrum includes the colors that the mind identifies as cool. These are blues and greens. Use them in your digital photos as backgrounds or complements to the dominant color you choose. The most obvious example is how blue skies and green landscapes help to emphasize a colorful bird or your daughter in that multi-colored striped dress. This is also a primary concept of interior design, where wall and flooring colors are typically cool (with an occasional bold color on an accent wall), but the furniture and accessories display a dominant color. The next time you plan a digital photography shoot, take a few moments to recognize the colors in the pictures you want to take. Then, compose your images with the four color concepts above in mind. You’ll achieve better balance in your photos and receive more compliments for your use of color.